Are you interested in learning about how to make HTML5 games with Impact? This webcast is a great way to get familiar with the Impact framework and get you started making HTML 5 games. For more than 13 years, Jesse Freeman (@jessefreeman) has been on the cutting edge of interactive development with a focus on the Web and mobile platforms. 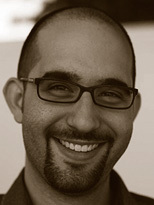 As an expert in his field, Jesse has worked for VW, Tommy Hilfiger, Heavy, MLB, the New York Jets, HBO, and many more. Jesse was a traditional artist for most of his life until making the transition into interactive art, and he has never looked back.